Urine could be used as a powerful source of brain cells to study some disease, and could even be used one day in therapies to study neurodegenerative diseases. Scientists have found a way to persuade the cells discarded in urine to turn into useful neurons. The scientists published their findings in the journal Nature Methods. The technique doesn’t involve embryonic stem cells, which come with drawbacks when transplanted, such as the risk of developing tumors. This new method uses ordinary cells present in urine and transforms them into neural progenitor cells, which are the precursors of brain cells. These cells could help produce tailored cells for individuals more quickly than other current methods. Scientists often reprogram cultured skin and blood cells into induced pluripotent stem cells (iPS), which can form any cell in the body. However, urine is a much more accessible source. Previously, retroviruses were used to insert pluripotency genes into cells. This alters the genetic make-up of cells and can make them less predictable. Instead, in this study, the genes were introduced using vectors which didn’t integrate them into the cellular genome. 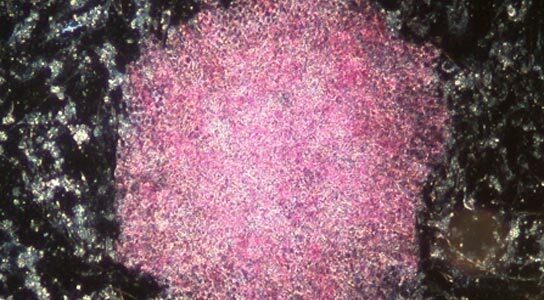 This produced reprogrammed cells resembling iPS cells after only 12 days, half the time needed to produce iPS cells with current techniques. When cultured further, the colonies took the rosette shape common to neural stem cells. The reprogrammed cells were able to work as functional neurons in the lab. The cells were transplanted into newborn rat brains, and didn’t form any tumors. Four weeks after implantation, the cells had taken on the shape and molecular markers of neurons. Be the first to comment on "Using Urine to Make Brain Cells"